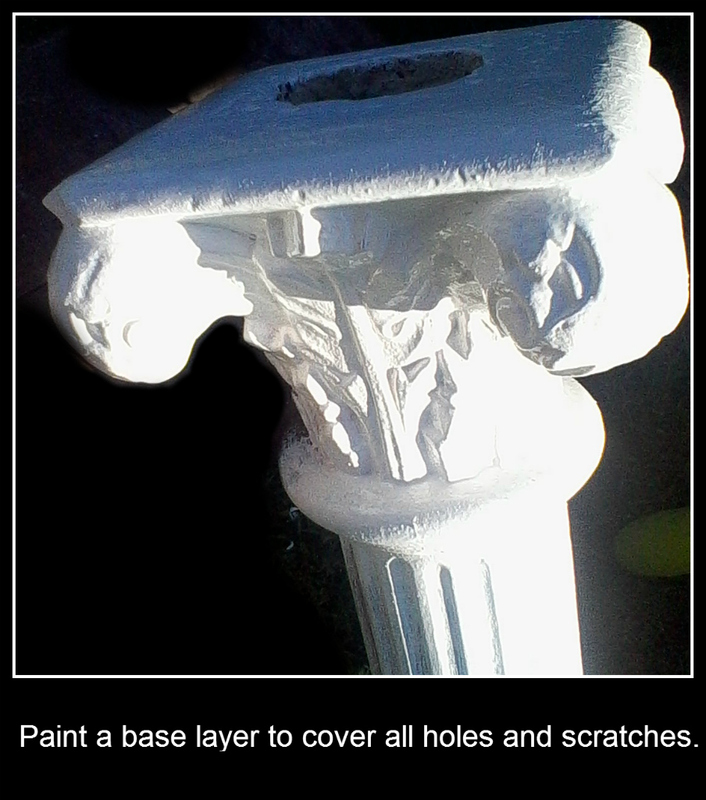 After you have saved your plaster as best as possible add a few layers of paint to seal. This will keep the plaster from absorbing moisture. Popular is a plain white especially for renovating to sell. if you are interested in hearing about designing fine luxury finishes join our upcoming podcasts. 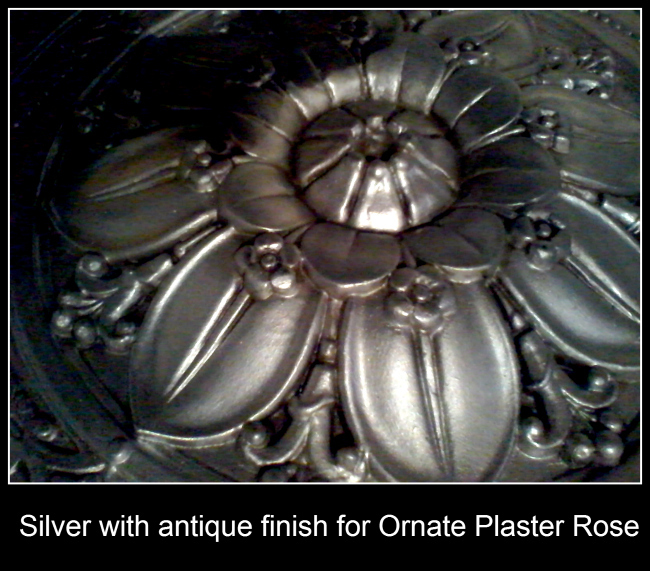 Save your old painted Ornate Plaster by restoring it artistically! Sometimes you find old pieces that are still serviceable or can be with a little help! If you are interested to hear more we are having podcasts coming soon! 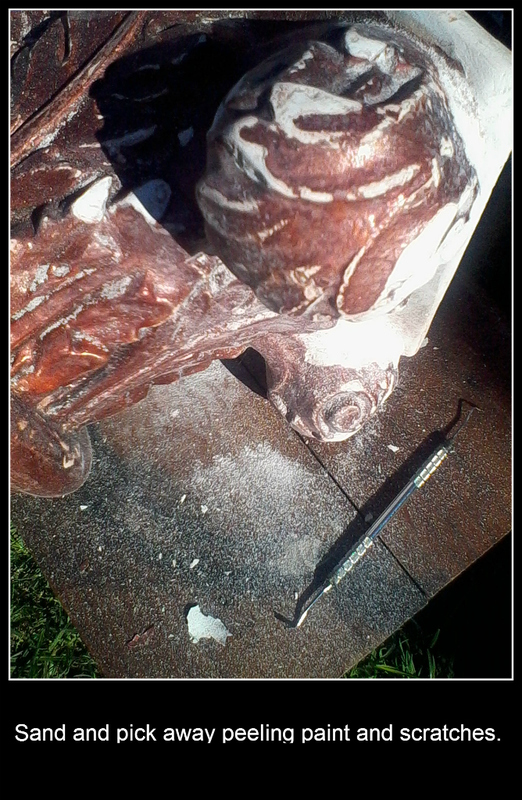 We use a good quality 'wet n' dry' style of sandpaper and here you see Dental Tools used to pry off flakes of paint. Check out our podcast coming soon...full of tips on how to get the best job done! Silver or Chrome is popular for an industrial style finish - here we give SILVER an aged character with antique medium applied. 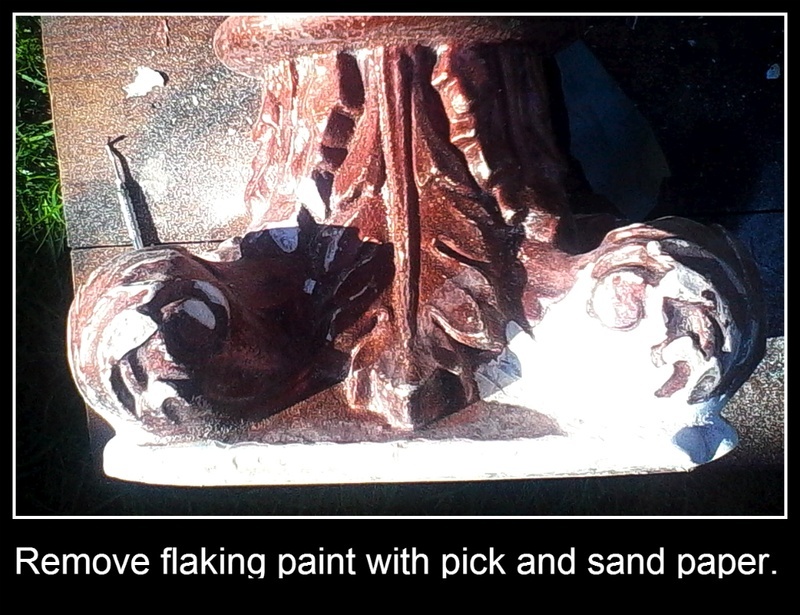 This Ornate Plaster Rose is reworked to show off different finishes and styles of decorating. however you may still partcipate in the Forums. We hope that you will join in and make a difference with your input! Join us for all kinds of fun this summer - we are experimenting with online webcams, virtual world classes and live presentations on WizIQ. New Members are encouraged to create a profile and upload any work that they have copyright to. I hope that you will enjoy this new feature.